A gentle giraffe, a gentle giraffe. Makes me laugh al day. Crossing the bridge, crossing the bridge. And now we jig all day! 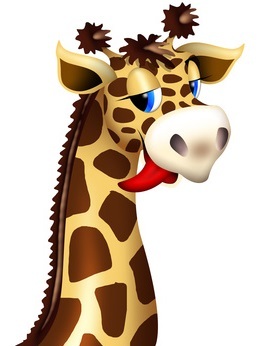 Do you miss the jungle, gentle giraffe? Are you homesick? Are you sad? You're the best friend I've ever had! Please play with me! And drank plum juice all day! Ginseng tea with half and half! Nothing's too fine for my giraffe! Makes me laugh all day.